When tragic circumstances forced Rashmi's family to move from their village, their lives fell apart. But Rashmi did not give up. With her mother's perseverance, she mustered up the courage to work her way up to be the accomplished person - she is today. Here's a look at the inspiring journeys of the next generation of emerging young people from MJF Kids and Youth Programmes. It takes passion and grit to fight against life’s adversities. 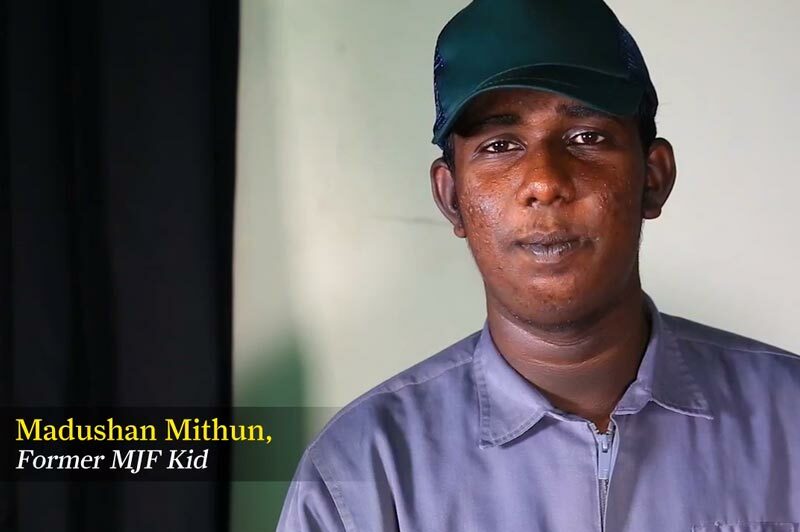 Dananjaya is a young achiever from the MJF Kids programme who worked relentlessly toward his goals despite hardship. Here's a look at the inspiring journeys of the next generation of emerging young people from MJF Kids and Youth Programmes. Celebrating Differences is the biggest and the most colourful concert that all MJF kids, youth, parents and staff look forward to every year. 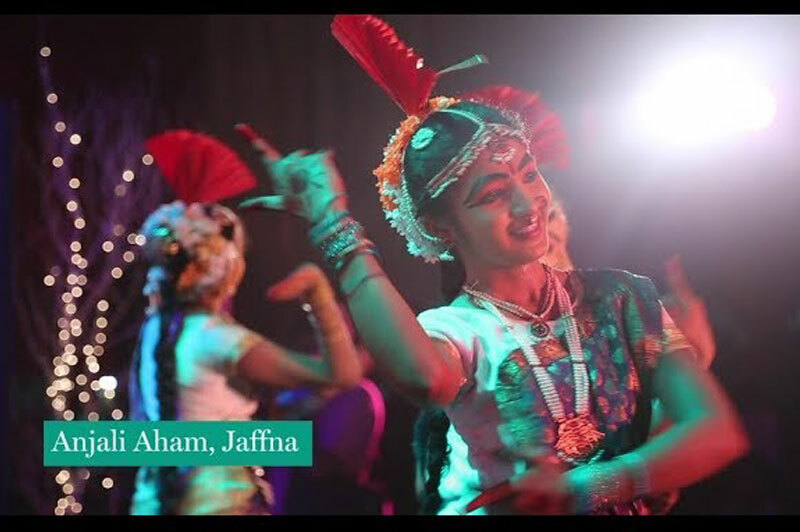 Last month’s Celebrating Differences stayed true to its name by having MJF Kids from across Sri Lanka displaying their cultural and creative flair on stage, making it a truly memorable night for all. When you enjoy your cup of Dilmah Tea, you know you are contributing to the smiles of hundreds of children in need. Tokai Coop - Consumers Cooperative, along with Dilmah distributor in Japan Waltz & Co. donated school bags to the children from the communities at Craighead estate last month. The tiny tots’ faces lit up with happiness as they wore their backpacks, getting ready to embark on a path to a promising future. In celebration of their culinary excellence, the aspiring young chefs from the 4th intake of Empower Culinary & Hospitality School, hosted an Afternoon Tea at MJF Centre, Moratuwa - creating an exceptional tea-inspired menu, featuring some of their signature dishes. Supreme Chef is a Reality TV competition where residents of the Eastern Province and Polonnaruwa compete for culinary glory. Dilmah & MJFCF are pleased to support culinary excellence in Eastern Sri Lanka where novices are trained on a quick path to learn the basics of culinary arts. Performing arts can give children with Cerebral Palsy, Down Syndrome and Autism the chance to enjoy, engage and achieve self-expression. At their annual concert, children of NCCCPDD displayed their talents to a live audience. Everyone got a moment to shine on stage, proving that participation alone is a huge achievement for them. Music is a universal language which transcends all borders and brings everyone together. Last October, MJF Centre in Moratuwa celebrated Music and Life with Country Roads concert for children - South Asia’s longest-running charity concert with a cause. The music had both young and old - tapping their toes and clapping to the beats of some of the greatest country, western and folk music hits. An enthusiastic bunch of Rainbow kids, MJF kids, youth, parents and staff took the stage, joining Mavericks from Germany, UK’s Astrid Brook and local favourites like Sunil Perera to follow the pursuit of music and melody. The whole experience made everyone's day better and brighter. 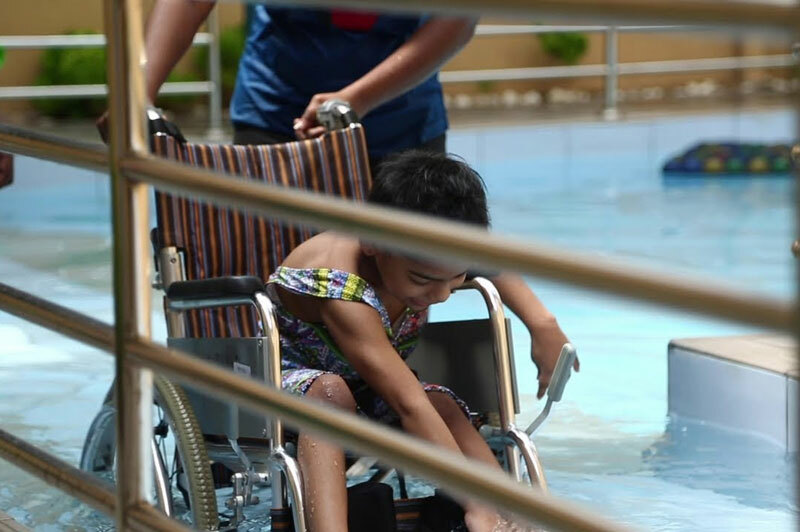 For kids with disabilities, it was a moment to unleash their creative expression through music and movements. They sang, danced and pranced around with so much energy and excitement, making it a day to remember. 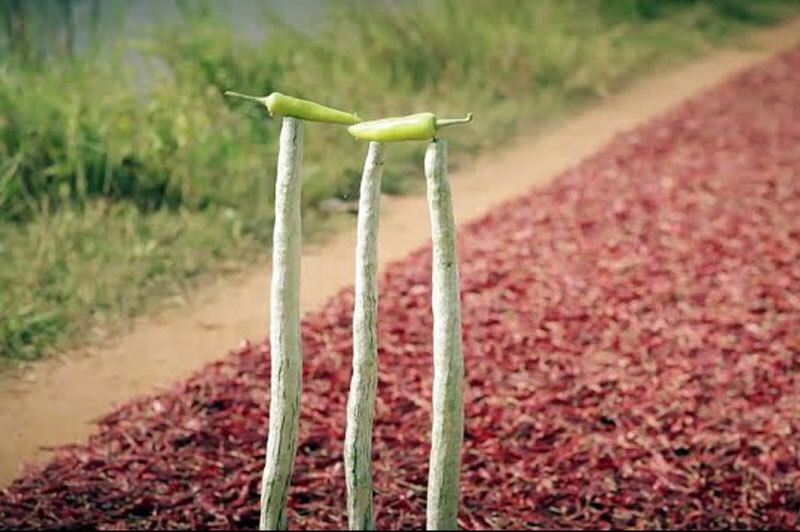 Dilmah has been a part of Country Roads for many years. This year, we celebrated 30 years of fundraising for local children’s charities across Sri Lanka. Chefs come in different shapes and sizes. 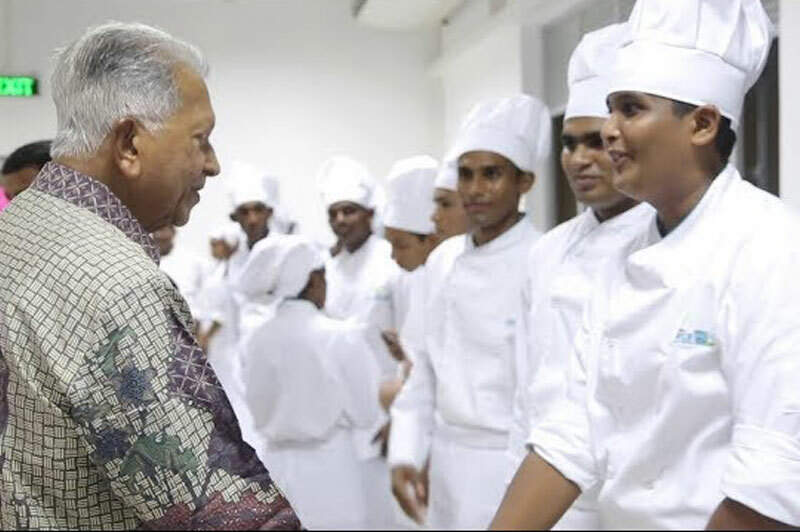 At MJF Charitable Foundation’s Empower Culinary and Hospitality School in Moratuwa, youth, women and people with disabilities are given a renewed purpose in life - to become the best chefs and young cooks that they aspire to be. 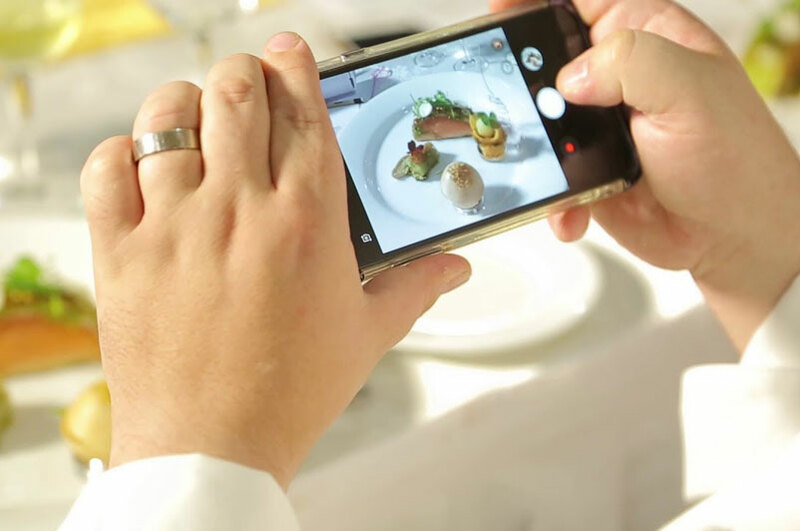 This year, we celebrate by emphasising the importance of educating children around the world about the importance of eating healthy, promoting the career of chefs and helping to change local communities on the abilities of people with disabilities. Fishing is an essential part of the livelihoods of people living on the East Coast, but daily life struggles have undermined the fishing sector in the region since the tsunami. This is the story of Rajan. 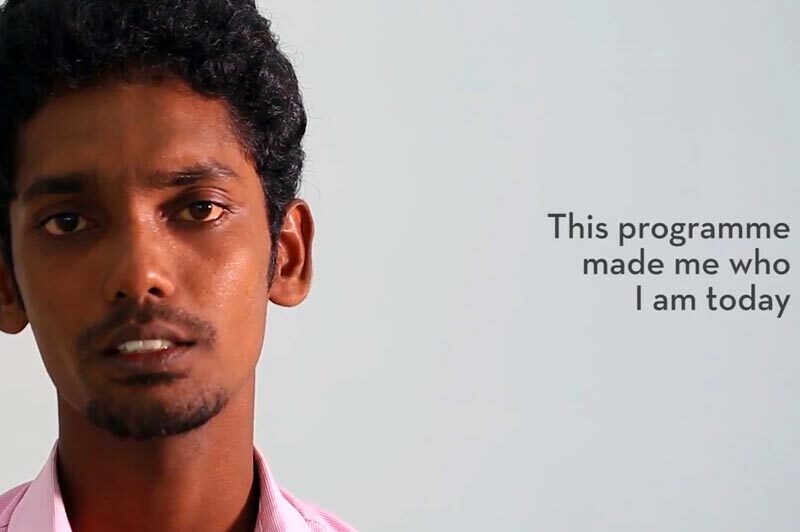 He is one of the recipients of Dilmah's MJF Foundation Small Entrepreneurship Programme. As with Rajan, we remain committed to ensuring that no one is left behind and that efforts to end poverty defend human rights and the dignity of all. World Cerebral Palsy Day is about acceptance, awareness and understanding of one of the most common global developmental disorders. This year’s theme “We are here” recognises the urgency of delivering skills and resources to ensuring that children with CP become contributing members of society. 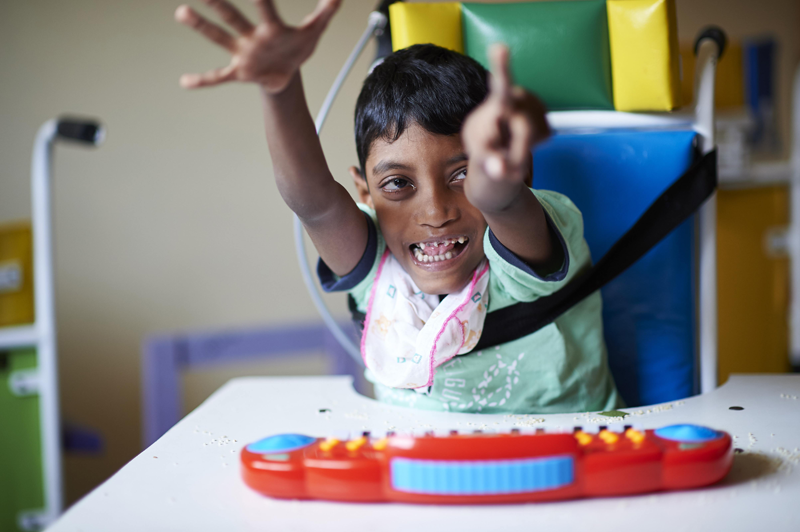 We want to give the same opportunity to children in Sri Lanka creating a powerful voice for those with CP to help change their world. At NCCCPDD - children and youth with CP or other developmental disorders, their families and therapists receive the skills, resources and awareness/outreach programmes to lead a fulfilling and dignified life. 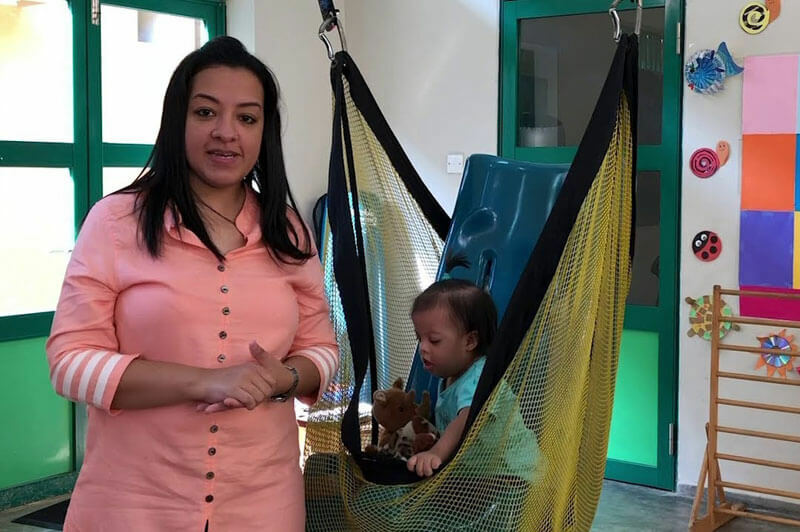 The National Centre for Children with Cerebral Palsy and other Developmental Disorders is a joint venture between Cerebral Palsy Lanka Foundation and the MJF Charitable Foundation. All services offered are free to children and at a cost to professionals and families. 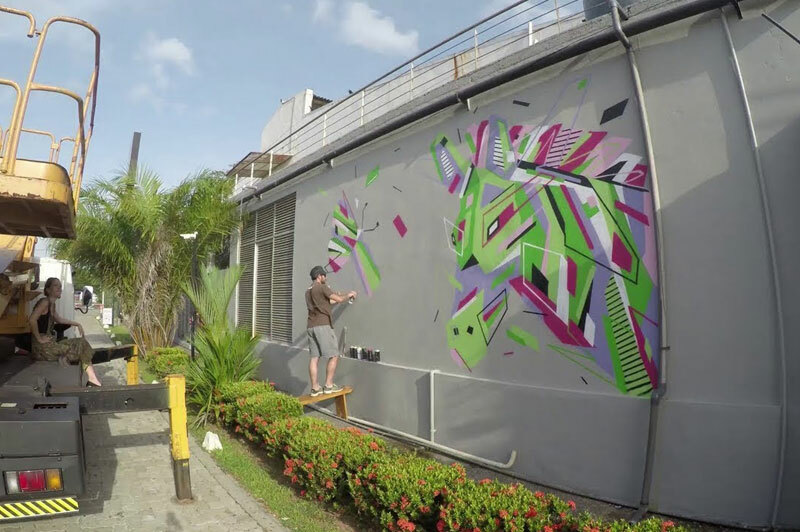 Daco is a French urban artist whose geometry-inspired Graffiti has been featured all around the world. He was in Sri Lanka for the month-long French Spring Festival organized by the French Embassy and Alliance Francaise de Kotte. Take a look at how figures of a horse and a butterfly emerge from a kinetic flurry of spray paints and geometric forms as he brings colour and life to the walls of MJF Charitable Foundation, Moratuwa with his latest Graffaune. 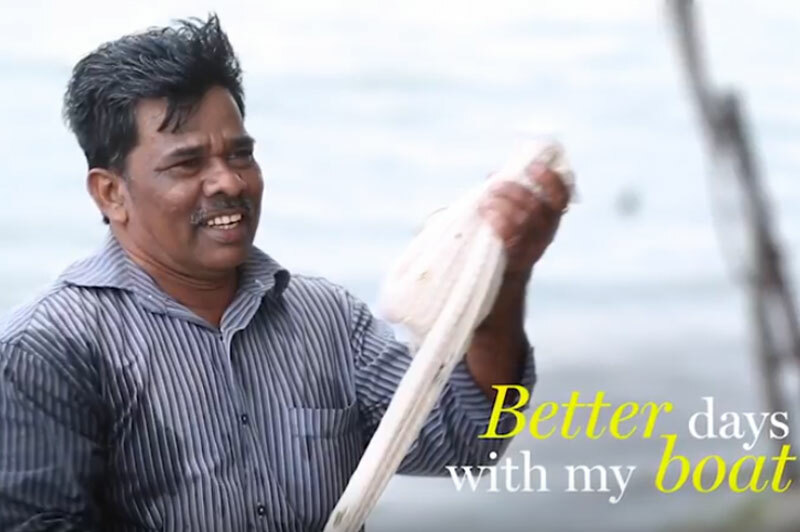 With his expertise in carpentry and the support provided by Dilmah’s Small Entrepreneurship programme, Sheron was able to transform his small workshop into a fully-fledged business. 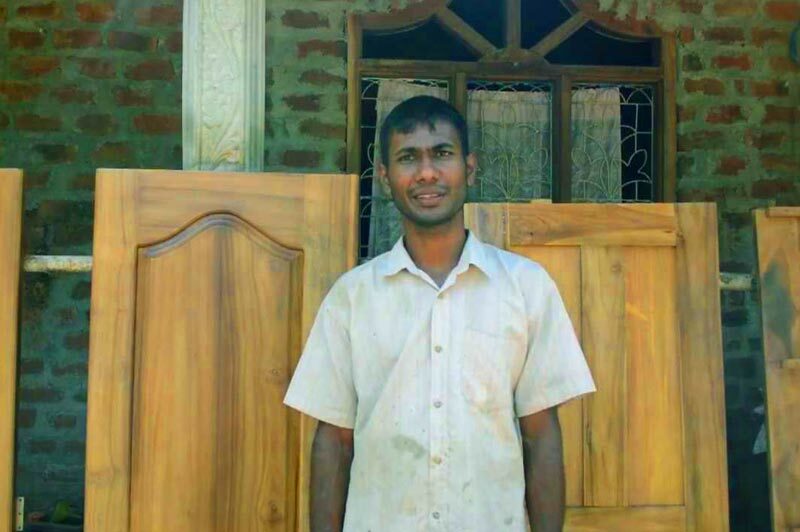 Today, Sheron maintains a steady source of income with woodworking. It’s truly inspiring. The stories of victory, support and sportsmanship that came out of Aidex are of legend. 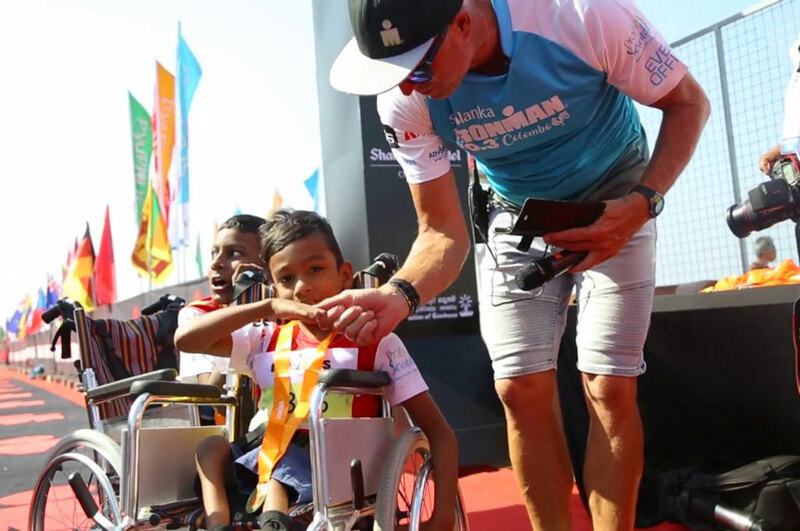 Take a look at some of the most memorable moments from Aidex 2018 - The Annual Sports Day, organised by The Colombo Friend In Need Society and Dilmah Tea to inspire and motivate amputees who are users of the Jaipur Limb. A Journey of 12 Years in Eastern Sri Lanka - MJF Centre for Dignified Empowerment and Sustainable Development was inaugurated by Prime Minister Ranil Wickremasinghe, Dilmah Founder and Chairman Merrill J. Fernando in Kalkudah, today. The centre was established to fulfil its founder’s pledge to make business - a matter of human service a reality in Eastern Sri Lanka. Come join us in our journey. 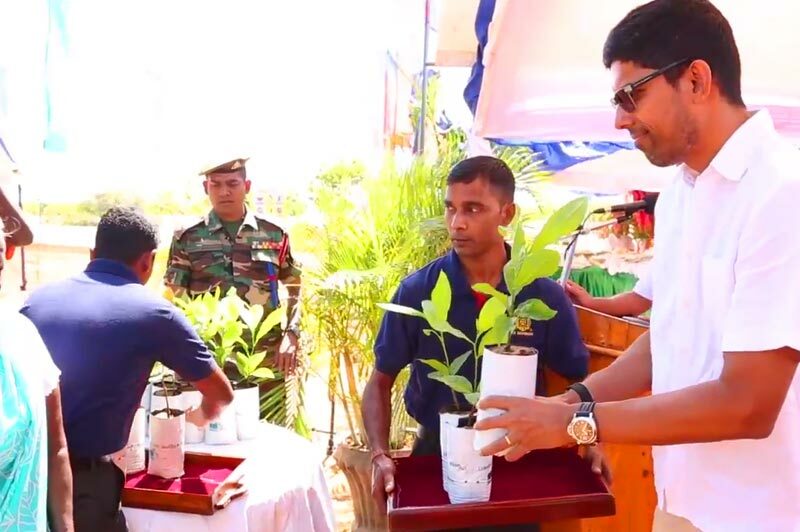 Dilmah Conservation’s Greening Batticaloa is planting 1 million cashew trees to improve the green cover while economically empowering the local communities in the region. Under this initiative, 300 cashew plants were given to a proprietor of a private estate in Kalkudah. After 6 years, the trees are in their bearing age and had a yield of around 15, 000 nuts this year. World Vision Lanka collaborates with MJF Charitable Foundation to support community mobilisation projects in the Batticaloa District - by advocating the incoming centre in the East which will be opened on the 1st September 2018. Hinthu Kumaraswami - Programme Manager of World Vision Lanka, Koralaipattu South, Batticaloa talks about our shared commitment to encourage and engage the community in the Batticaloa District. Ms. Nirupa Pirunthan - Assitant Division Secretary, Koralaipattu tells us why it is important to have a Centre - equipped with state of the art facilities and vocational training for the most vulnerable communities in the divisions surrounding Kalkudah, including children and youth with disabilities. 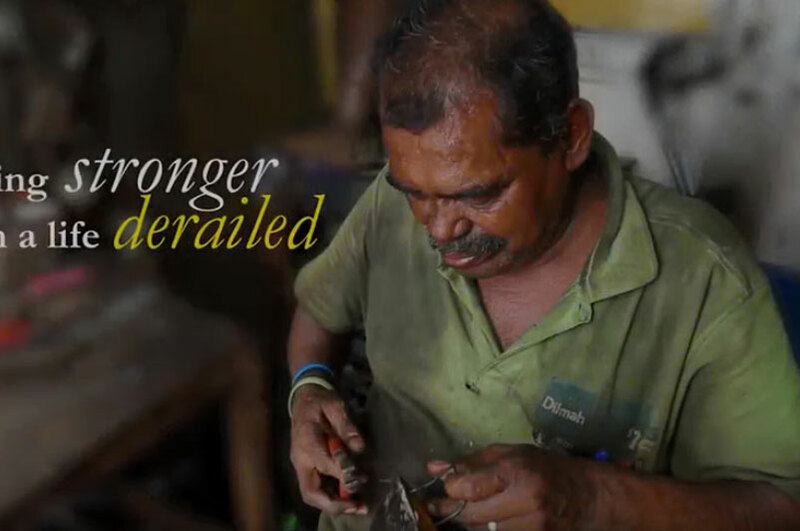 #DifferentIsNotDisabled - Dilmah's Small Entrepreneurship Programme enhances the dignity and self-worth of disabled men & women by providing self-sufficiency through productive work. Our series feature SEP beneficiaries participating in AIDEX 2018- for Amputees fitted with the Jaipur Limb. 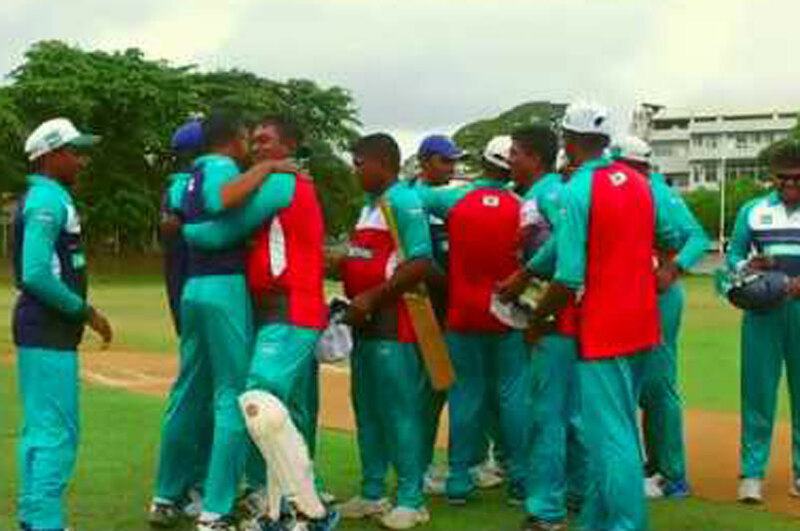 The Annual Sports Festival is organised by the Colombo Friend-in-Need Society & Dilmah. 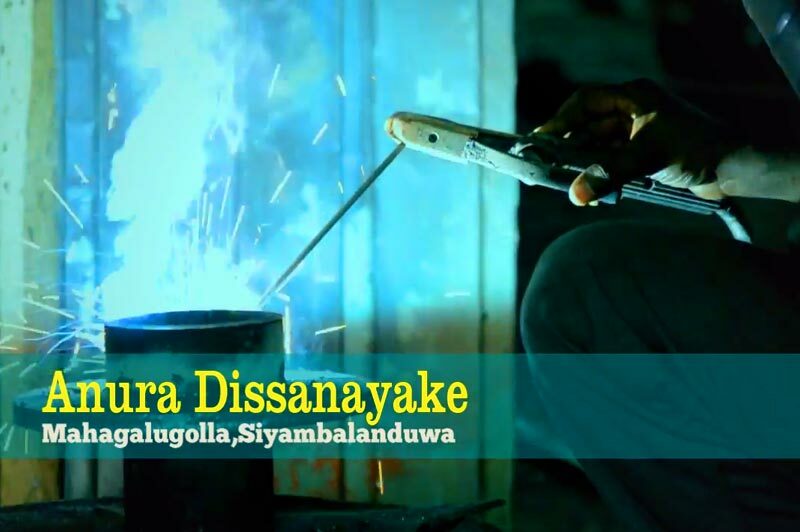 Story#1 Hope: Upali - a gas cooker repairer’s struggle and survival. 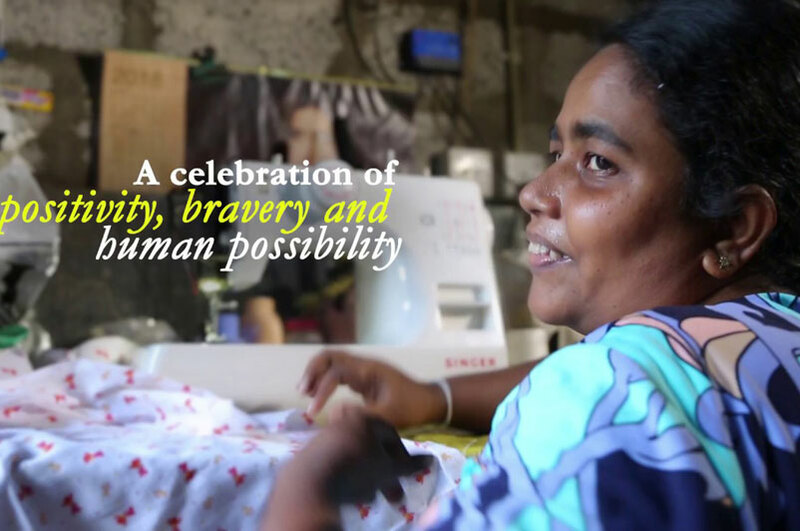 Dilmah's Small Entrepreneurship Programme enhances the dignity and self-worth of disabled men & women by providing self-sufficiency through productive work. Our series feature SEP beneficiaries participating in AIDEX 2018- for Amputees fitted with the Jaipur Limb. 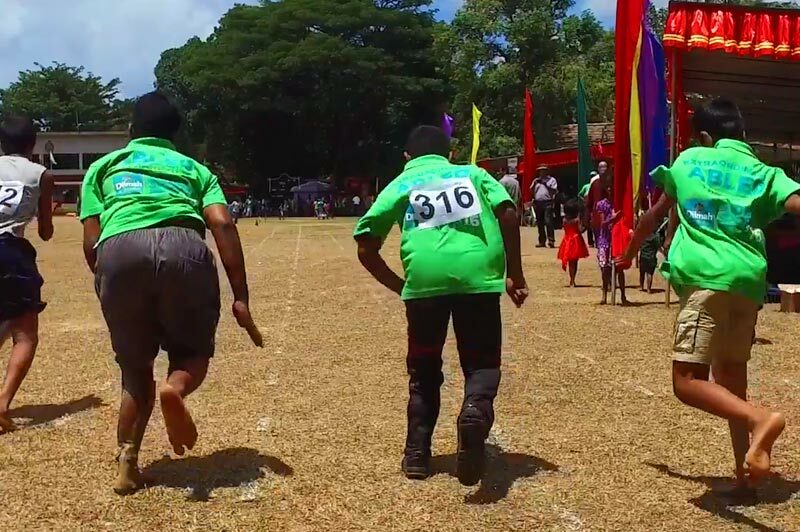 The Annual Sports Festival is organised by the Colombo Friend-in-Need Society & Dilmah. 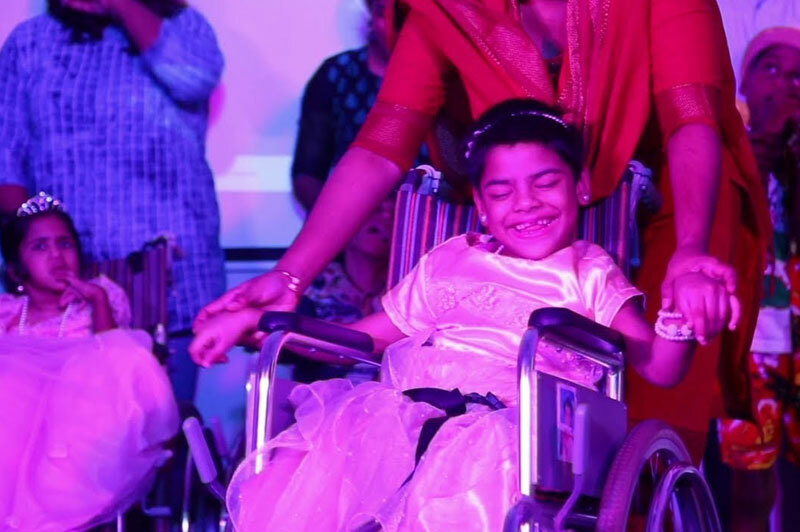 #DifferentIsNotDisabled - "Making it through"
Story#3 - Sujani: An unfortunate case of medical malpractice left Sujani wheelchair-bound at a very young age. This is her inspiring story - a celebration of positivity, bravery and human possibility. #DifferentIsNotDisabled - Story#5 - Supun Nishantha’s story gives us a glimpse of what is possible when it seems like the odds are against you. He is determined to live up to his potential and works consistently with his wife to make his business a profitable one. 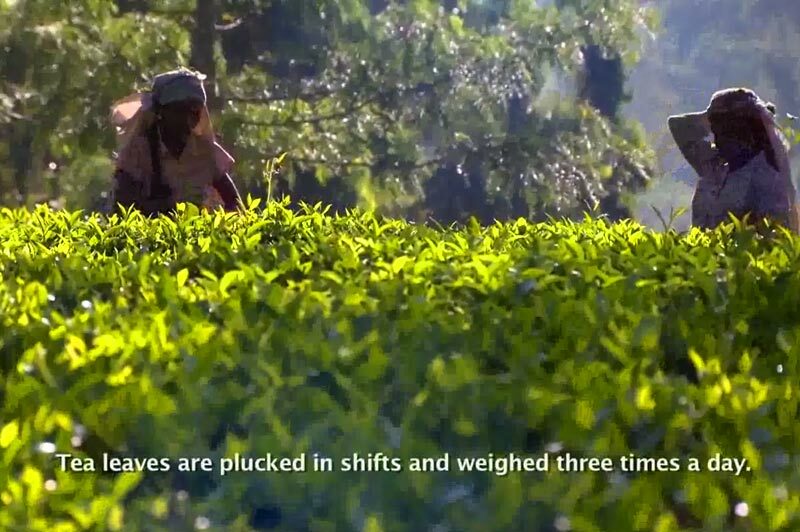 Dilmah is the world’s first ethically made tea; earnings from its global sales remain in Sri Lanka and are shared with workers, and the community and re-invested in the industry to make tea sustainable. The success of this family business has been in caring for the workers who produce Dilmah as much as it cares for its customers. 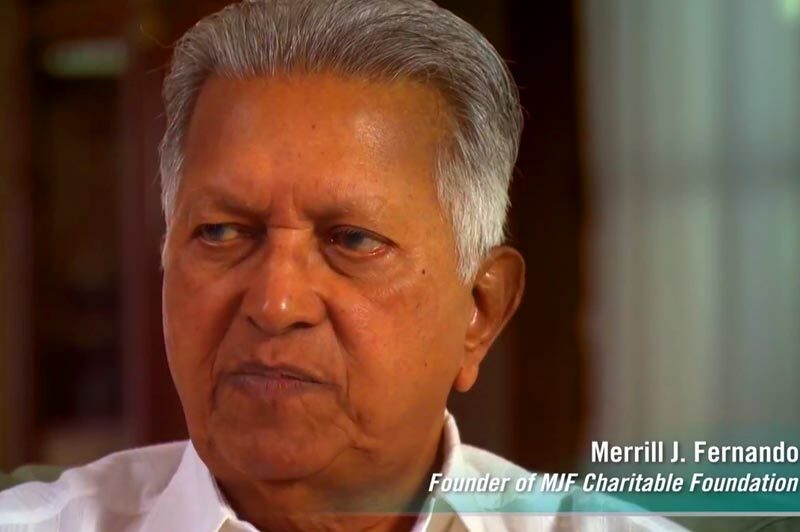 The MJF Charitable Foundation established by the Dilmah Founder Merrill J. Fernando, implements over 150 different projects which touch the lives of over 10,000 underprivileged Sri Lankans each year. Join Dilmah & Kumar Sangakkara to wish Sri Lankan National team for the Blind Cricket World Cup 2018. Lets bring it home boys. Dilmah and MJF Charitable Foundation continues to support the development of Blind Cricket in Sri Lanka and will remain the primary sponsor for the National Blind Cricket Team participating in the Blind Cricket World Cup held in Dubai from the 7th to the 25th of January 2018. Let’s bring it home boys. We hoped to inspire them. Instead, we were inspired by them. With smiles that never faded and willpower that never faltered, our Ironkids pushed past the finish line with all their might. They refused to let anything get in their way, proving again that different is not disabled. This is exactly what the MJF Charitable Foundation's National Centre for Children with Cerebral Palsy and other Developmental Disorders strives to achieve. Our heartfelt thanks to everyone who volunteered and supported us to make this an unforgettable day for our kids. There is no doubt that you will find this video to be more than rewarding for your commitment. 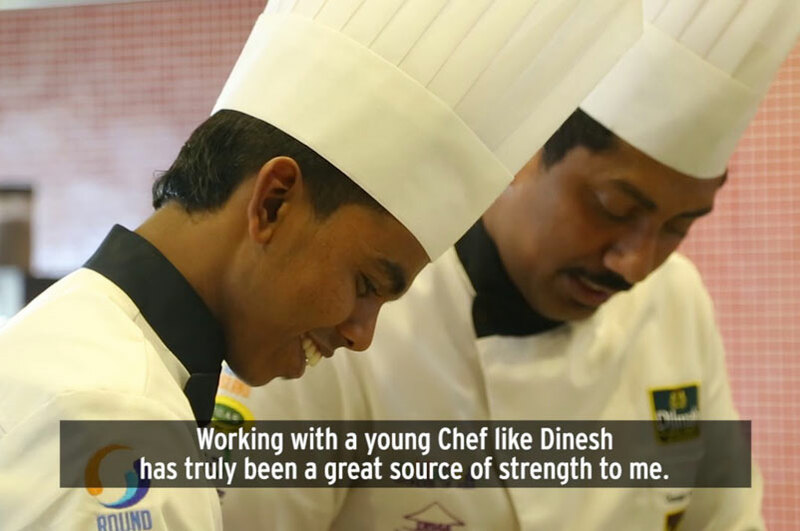 Meet the ambitious and talented Dinesh; a graduate from the Dilmah Empower Culinary and Hospitality School. We invite young culinary enthusiasts from Sri Lanka to join our school. Applications for the next intake are ongoing, for further information please call Manil Perera at 011 4888323. 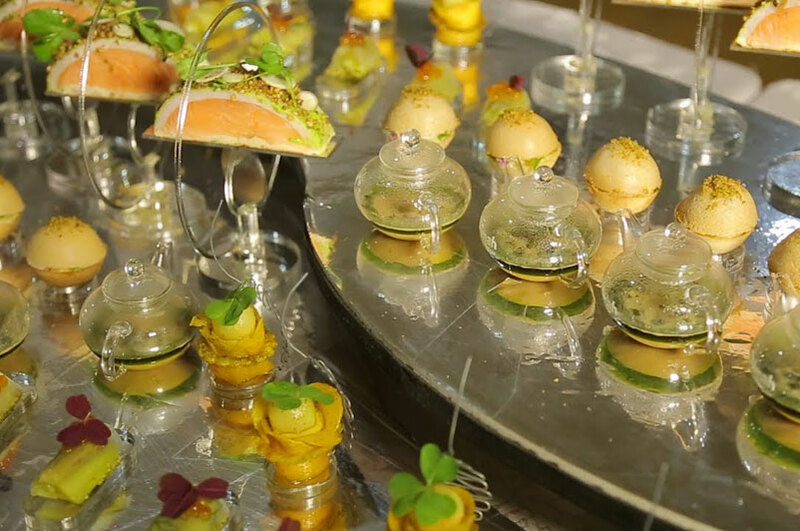 Chef Adam Gount was impressed by Bocuse d' Or Sri Lanka team’s dish and its expression of the island flavours. This is what he has to say about using tea as a gastronomic ingredient. Here’s what Bocuse d' Or Sri Lanka – President, Rohan Fernandopulle has to say about Team Sri Lanka’s Commis – Dinesh, whose roots stem from being brought up among tea plantations and factories to now serving tea, beyond a beverage. Watch to see how! Parallel to the reawakening taking place in the north; post war, K.Sivaranjini feels a revival within; a revival brought about by the sense of satisfaction she derives from the livelihood activity she started with the MJF Charitable Foundation’s support. Among the multifaceted projects that the MJF Charitable Foundation has initiated in terms of post war rebuilding in the north, the Small Entrepreneur Programme (SEP) provides livelihood support for those traumatized and battered by the three decade long ethnic conflict. 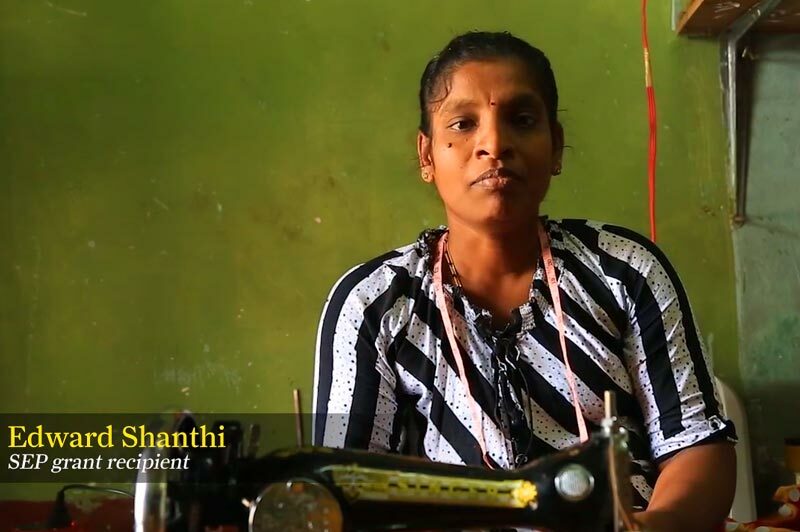 Edward Shanthi; a hardworking and capable individual, when supported by the Foundation became a productive small entrepreneur who could in turn translate her individual success for the benefit of many others. 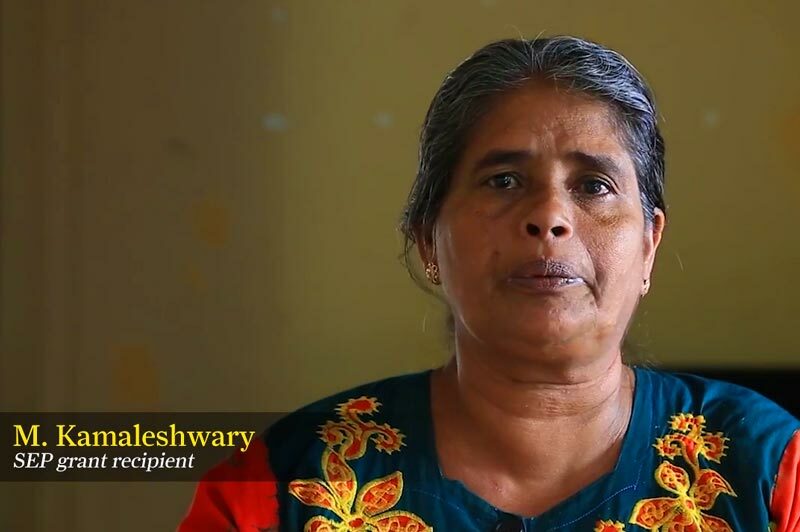 For M. Kamaleshwary, a war widow, livelihood support of the MJF Foundation came at a time when she was coping with a personal loss while the wounds of the three decade long ethnic conflict she experienced, first hand, were still fresh upon her mind. Foundation’s livelihood support, to some level, healed her aching wounds, she echoes. The MJF Kids programme was established in the belief that every child has inherent and outstanding ability, requiring only the means to nurture that ability. The MJF Kids and their parents benefit from art, life skills, supplementary conventional education and a caring environment. The educational and nutritional programmes of the “Anjali Aham” Psychosocial Counselling Centre in Jaffna, North of Sri Lanka commenced in 2011 as a part of the educational and livelihood support. Today, the programme benefits around 250 children- mostly those from poor and marginalised backgrounds, and the war affected- who come to the Centre, on weekday afternoons to receive guidance in their school curriculum. Here they also get exposure to develop their socialm life skills through the leadership development, outreach programmes and other social/cultural activities organised from time to time. Since its commencement, three batches of students have completed their studies up to Ordinary Level while 14 other students receive further assistance in their Advanced Level studies under the educational scholarship scheme of the MJFCF. 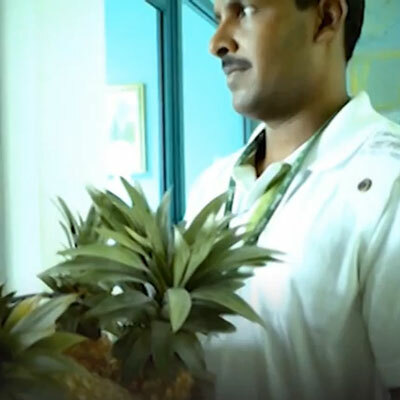 This is the story of H.A Premaratne who was assisted by the Merrill J. Fernando Charitable Foundation (MJFCF) in 2011 to rebuild his life after he lost his income following an accident. Today, he has been able to turn the small garden compound of his humble home into a fruity and vegetable haven. The prosthesis he wears make his physical injury still plain to see; yet the smile that adorns his face indicates that he has been able to rise above the hardships he faced in the aftermath of his tragedy. 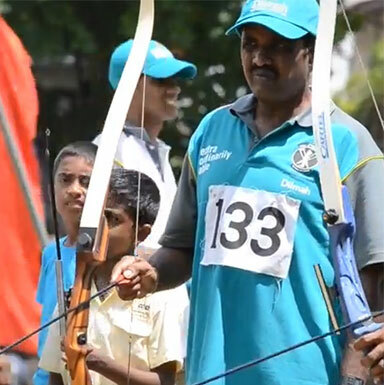 Premaratne, along with 400 other such differently-abled will gather at the annual AIDEX sports day to be held tomorrow at the Prison’s Ground Welikada, Colombo 8. MJF Kids and their parents joined the Settlor of the MJF Charitable Foundation Merrill J. Fernando and the extended Dilmah family to celebrate their differences on World Down Syndrome Day at the MJF Centre Moratuwa on 16th March 2013. The event was an extra special day for kids attending the Cerebral Palsy and Rainbow Centres, also located at the MJF Centre Moratuwa. For some kids, the carnival like atmosphere was a first time experience. The MJF Kids were joined by other special children from the neighbourhood who were welcomed into the Dilmah family by everyone present. The idea behind organising a day to celebrate these special children stemmed from the success of the Celebrating Differences Christmas extravagansa held last December. The day showcased that people with special needs are capable of living normal lives and being happy, just like us, when given a chance. This was the reason why Merrill J. Fernando’s MJF Charitable Foundation organised this event where children with special needs could mingle and enjoy the life often taken for granted by other children. The MJF Kids were treated to a special 'Country Roads' performance last evening at the Moratuwa MJF Centre. The evening was celebrated with the music of Texas Cowboy Bob Livingston, singer and songwriter Astrid Booke from Britain and Dirk the Maverick and his band from Germany. 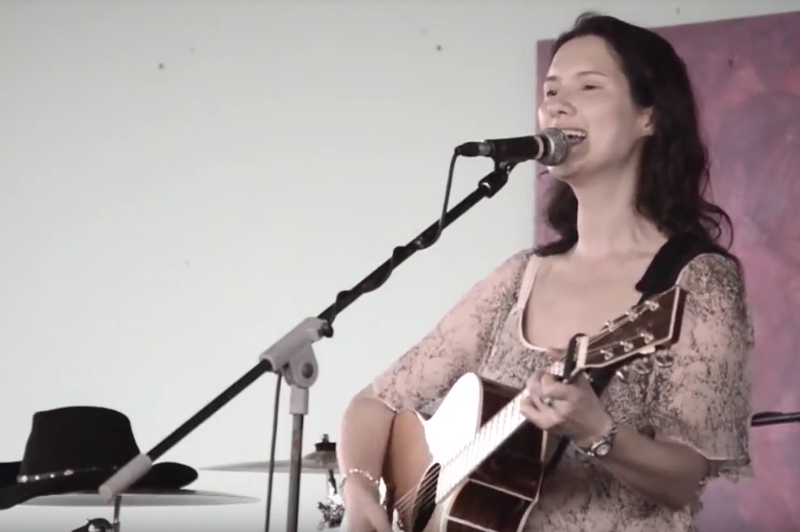 The performances included classics by John Denver, Johnny Cash, Carol King and Tracy Chapman. Over 200 MJF Kids from the MJF Centres in Peliyagaoda, Dematagoda and Moratuwa as well as children from the Cerebral Palsy and Rainbow Centres joined the Founder of the MJF Charitable Foundation Merrill J. Fernando, his family, Dilmah staff and a host invitees who couldn’t resist a bit of toe tapping. 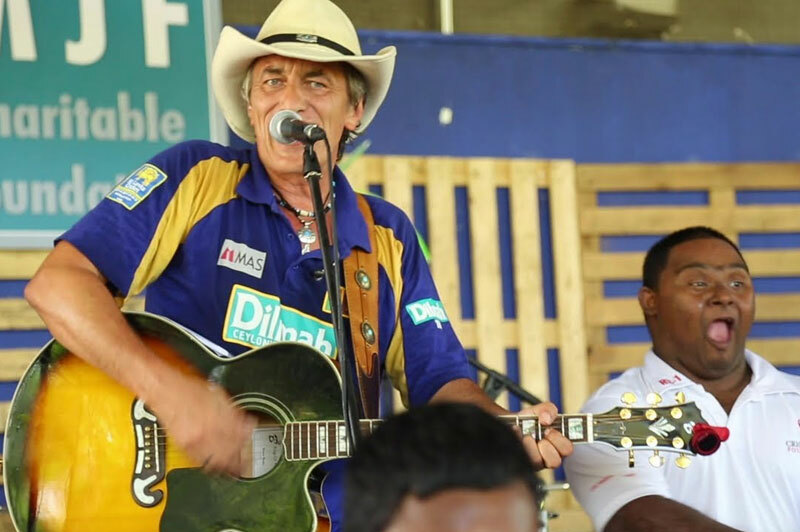 Feizal explained that he conceived the idea to have a special Country Roads performance for MJF Kids after he saw the MJF Kids perform during the Celebrating Differences concert held last December at the Moratuwa Centre. I was touched by their performance and I thought it would be great to actually bring a group of performers to encourage these kids and show them how stars perform. The Celebrating Differences concert is held at the end of each year to celebrate the spirit of Christmas and to recap the wonderful year gone by. This year, the show was made even more special by the inclusion of performances by ‘special’ MJF Kids from the Rainbow Centre and the Cerebral Palsy Centre. 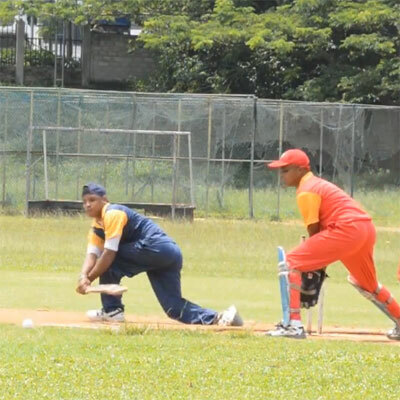 The 6th annual Merrill J. Fernando Challenge Trophy for Excellence in Blind Cricket concluded at the Wesley College Grounds recently. The winners, Monaragala Subhagya Vidyalaya -- School for the Hearing & Visual Impaired beat the CEI Sport Club, Piliyandala team in an impressive display of sportsmanship while the Ratmalana School for the Visually Impaired 'A' team and the team from the Sri Lanka Council for the Visually Handicapped were placed 3rd and 4th respectively. The MJF Rainbow Centre Moratuwa held its annual concert on 1 December 2013, bringing together all children from the MJF Charitable Foundation for an evening of artistic and creative expression. 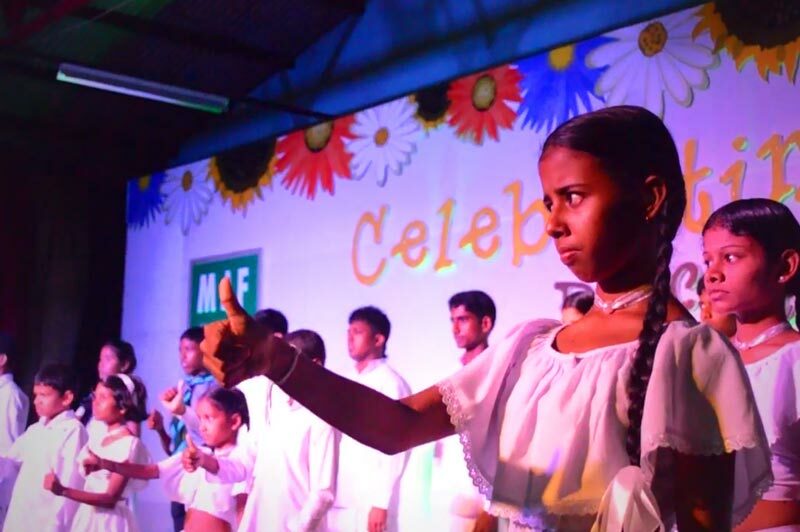 This year's stage featured touching performances from both underprivileged and differently-abled children from the Moratuwa Centre, MJF Centre Peliyagoda and the Rainbow Centre in Moratuwa whose talent and flair were applauded and praised by an encouraging audience. The concert was aimed at looking beyond social, cultural, economic and religious differences while celebrating the individuality of every child. These children showed us that we are all different, That our differences - whether Down Syndrome, Cerebral Palsy or any other -- can be celebrated, Through understanding, and focusing on what we can do, and not what we cannot. 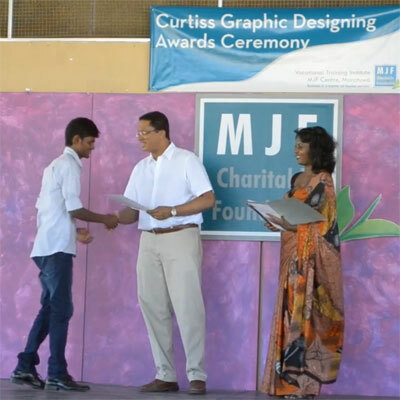 The graduation ceremony of students who completed the Graphic Design course and MS Office Course at the Curtiss Centre for Design at the MJF Centre Moratuwa was held on January 19, 2013. A 'special' fashion show by MJF Kids was a highlight of the evening. A special person visited the Rainbow Centre at the Moratuwa MJF Centre recently with his parents to speak and encourage the parents of children attending the Rainbow Centre. This is the story of Stefan Deen and what his visit meant to our Rainbow Kids. 22 March 2014, Moratuwa, Sri Lanka – World Down Syndrome Day is celebrated on 21 March each year to recognize and celebrate the vital role played by individuals with Down Syndrome in our lives and communities. This year marked the 9th anniversary of World Down Syndrome Day focussing on ‘Health and Wellbeing – Access and Equality for All’. The theme stressed on the right to access healthcare without discrimination and with proper assessment of the specific health needs by all individuals including those diagnosed with Down Syndrome. In celebration of this special day, the Rainbow Centre of the MJF Charitable Foundation also hosted a unique and colourful event on 22 March 2014 at the MJF Centre, Moratuwa. The event, aimed at commemorating the lives of those with different abilities saw guests and volunteers joining together to raise awareness amongst the public about the abilities of individuals with special needs. MJF Kids, their parents, teachers and invitees joined the Founder of the MJF Charitable Foundation, Merrill J. Fernando, and the extended Dilmah family to celebrate children and adults with special needs. The event affirmed the unique abilities of these individuals who are capable of living productive, happy and fulfilling lives, when given the chance. It was a vibrant and exiting day for all children and adults attending the Cerebral Palsy and Rainbow Centres at Moratuwa. The entertaining line-up of events was a thrilling experience that saw many MJF Kids showcase their talent and creativity. Dance performances by children currently receiving aesthetic and educational support through the MJF Charitable Foundation, a fashion show presented by children with special needs, interactive mural painting and finger painting, and an entertaining talent show were all part of the World Down Syndrome Day activities at the MJF Centre in Moratuwa. Children and invitees alike had lots of fun, with the evening coming to an end with lively music and dancing enjoyed by our special children. 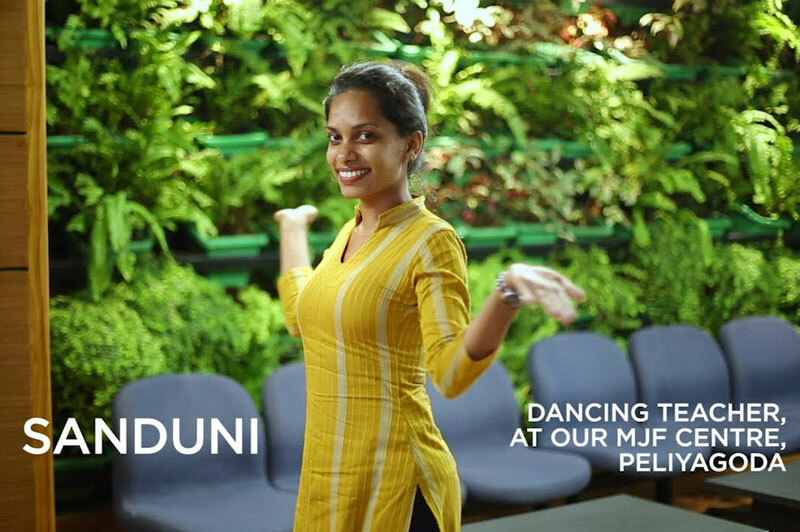 The MJF Charitable Foundation was set up to fulfil the Dilmah Founders wish to make business a matter of human service and share with the community the fruits of his success. The MJF Kids programme was initially set up as part of the efforts to improve the living standards and overall wellbeing of children from marginalised communities. What started in 2006 has now spread to MJF Centres across the country in Point Pedro, Siyambalanduwa, Pallansena, Maligawatte, Peliyagoda and Moratuwa. In 2011, the MJF Kids programme was further developed to include children with special needs, who often lack support and care through the available welfare systems in the country. The MJF Centre in Moratuwa provides educational support for disadvantaged children and care for differently-abled individuals through a comprehensive programme of entertainment, care and attention. The Rainbow unit located within this centre specially caters to the needs of young adults with Down Syndrome so that they can live independent and productive lives well into adulthood despite their different physical and intellectual abilities. 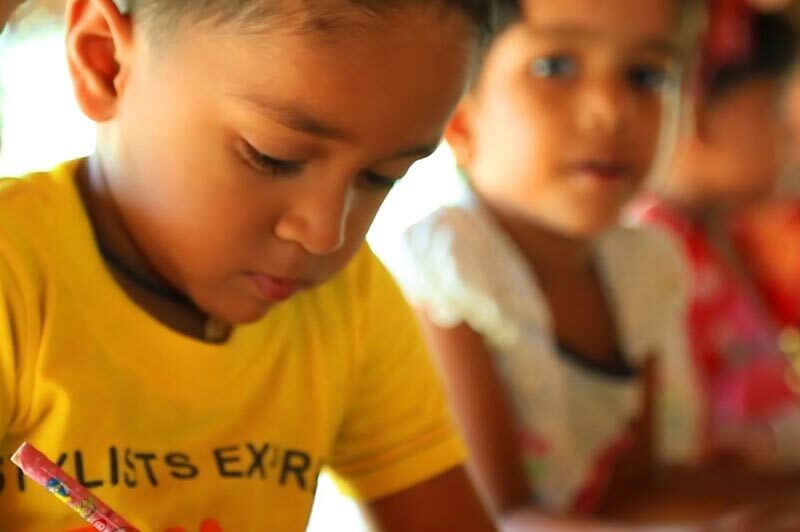 Additionally, the MJF Charitable Foundation manages and supports Sithijaya, a centre that provides care, training and upliftment for special needs children in Ambalantota, in the South of Sri Lanka. 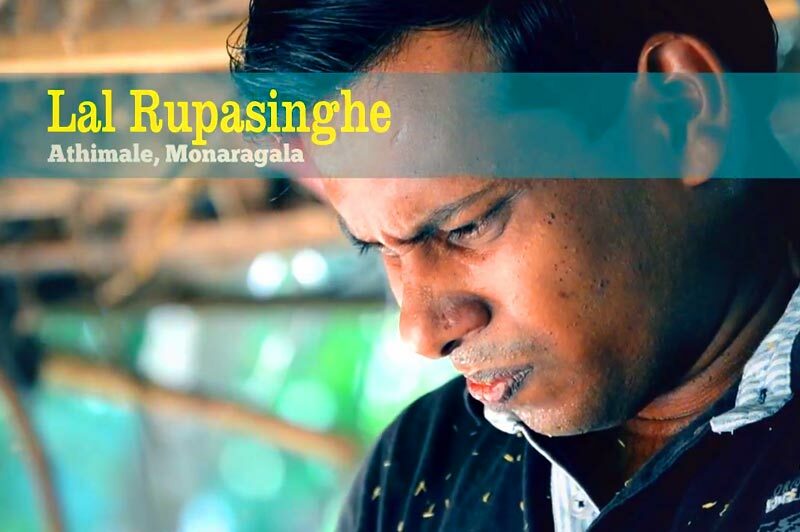 Living in an agricultural village in rural Athimale in Monaragala Lal Rupasinghe had no choice but to become a woodcarver. 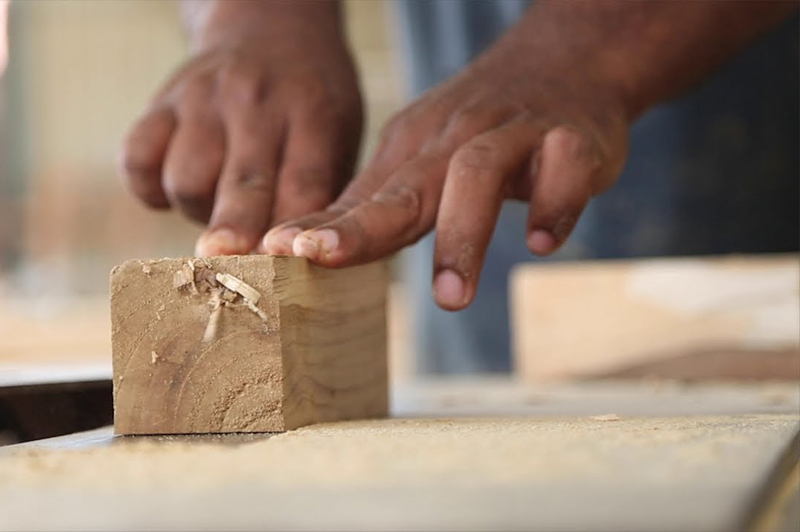 Due to the scarcity of livelihood options and pressure of trying circumstances he had to continue in his father’s footsteps creating basic woodcrafts using simple tools. Because his resources were limited Lal could only manage a very few pieces at a time. Even though he was interested in creating intricate pieces and elaborate designs, the lack of specialised tools and equipment limited Lal’s scope. It was during this time that the MJF Charitable Foundation, recognizing his talent and potential, intervened and provided Lal with a multi-purpose woodworking machine. 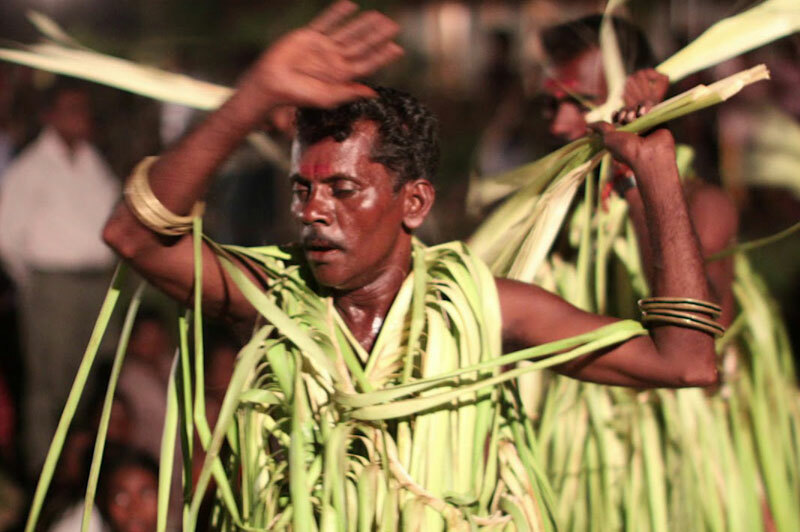 Lal was elated and continued to work hard to create sought-after original woodcarvings and trained a number of youth in the area in woodcraft. He has even employed five youngsters from within the community in order to offer them a stable source of income. Today, Lal has become a role model to the youth of Athimale. Having started as a simple potter handcrafting oil lamps at home to support her family, R.M. Chandralatha found work time consuming and laborious. However, she was determined to make her business a success and worked hard to accomplish this task. With time, the young potter became known as an industrious and reliable provider of basic earthenware lamps. Later, she began receiving orders to make pots to store curd and longed to streamline her work and expand production. Sadly, she did not have sufficient funds to purchase machinery or labour. Chandralatha’s wishes was fulfilled when she became a recipient of the SEP, MJF Charitable Foundation’s Small Entrepreneur Programme. She received her first pottery machine along with a workshop space and kiln and, being a productive and resourceful entrepreneur, quickly established herself. 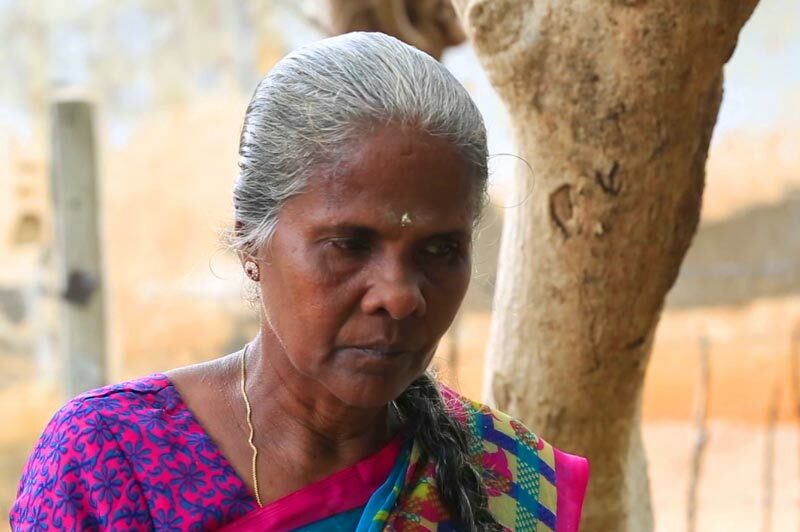 Today, this potter from Hindikula, Monaragala owns three machines, a lorry and three-wheeler to transport her ware and runs a successful pottery venture with her husband. She also employees 12 workers -mostly relatives from her neighbourhood- and helps them empower themselves and improve their quality of life. 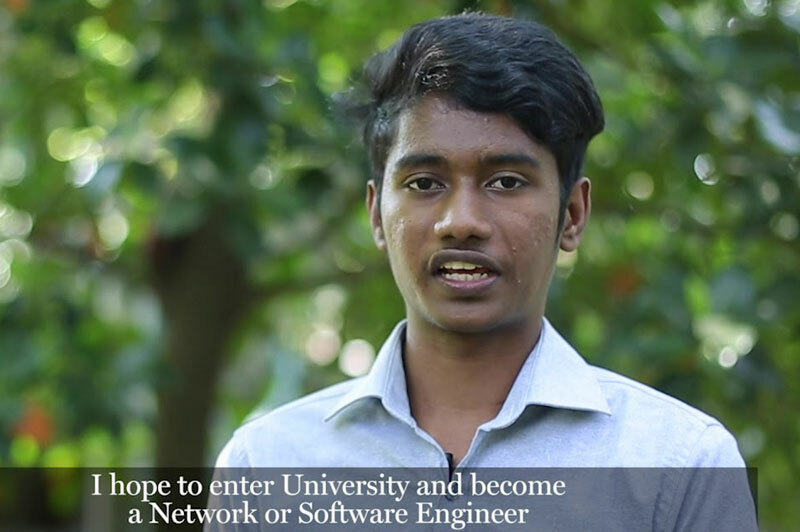 Nihal Subasinghe, an agriculture graduate from Monaragala, dreams of one day owning a modern, fully-equipped farm. 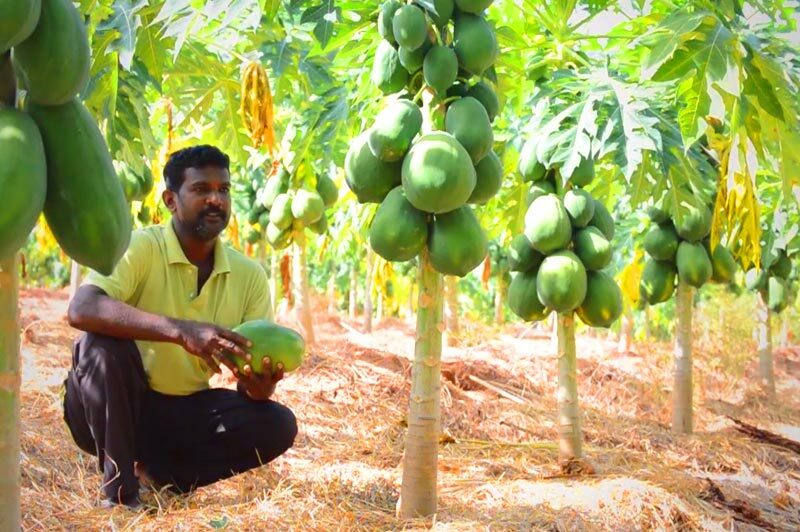 With only a small plot of papaya to generate income, Nihal began a home based agricultural project in rural Monaragala 10 years ago. Soon, he began to realize that resources were scarce and costly, and his operations began faltering. It was during this time that the MJF Charitable Foundation, recognizing his hard work and determination, came to Nihal’s rescue and provided the young farmer with an Organic Composting Machine. This, together with the support from the community and his expertise in agrarian studies helped Nihal expand the venture further. Today, Nihal is the proud owner of a 25 acre plantation growing papaya and banana. He also operates a dairy farm comprising 25 cows. Utilizing his practical knowledge Nihal has also begun harvesting rainwater and has created a small irrigation system to ensure a constant supply of water, in an otherwise dry region. Nihal plans to develop the growing farm further by purchasing a certified machine to extract milk from the cows in order to avoid wastage. Nihal’s journey of success has inspired many and continues to set an example to those in his community. 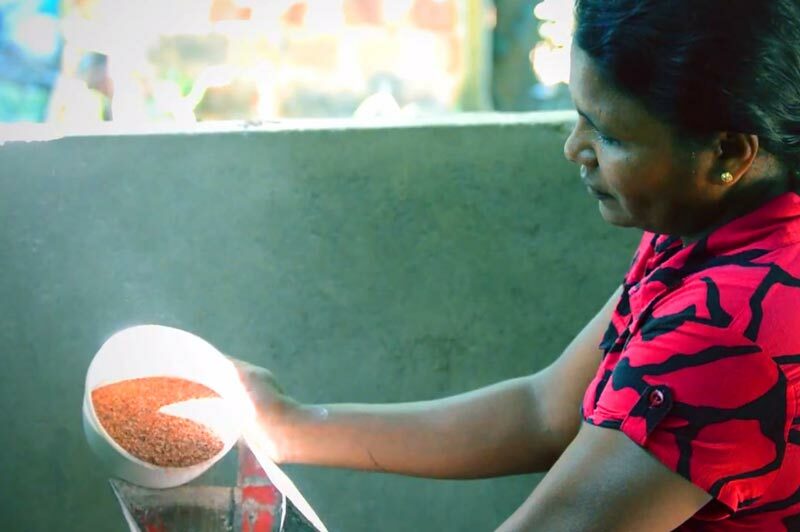 A housewife and mother in rural Monaragala, Leela struggled to make ends meet. Because she didn’t have the expertise or funds to embark on a business venture of her own, Leela felt disheartened and discouraged. However, having seen her plight and determination to care for her family, the MJF Charitable Foundation (MJFCF) stepped in to help Leela. As a beneficiary of the MJFCF’s Small Entrepreneur Programme, Leela received a grinding machine and was supported through a loan scheme and soon setup a small workshop at home. She began selling ground whole wheat flour at the local market which quickly grew into a successful enterprise. With the income generated through her work, Leela built a part of her home and continued to educate her children. She is a true example to other women of her community and her story is one of hope and inspiration. For many years D.M. Sunil Bandara ran a small carpentry operation in Siyambalanduwa. His hired woodworking machine was only able to produce very basic furniture and did not suffice in making contemporary products. 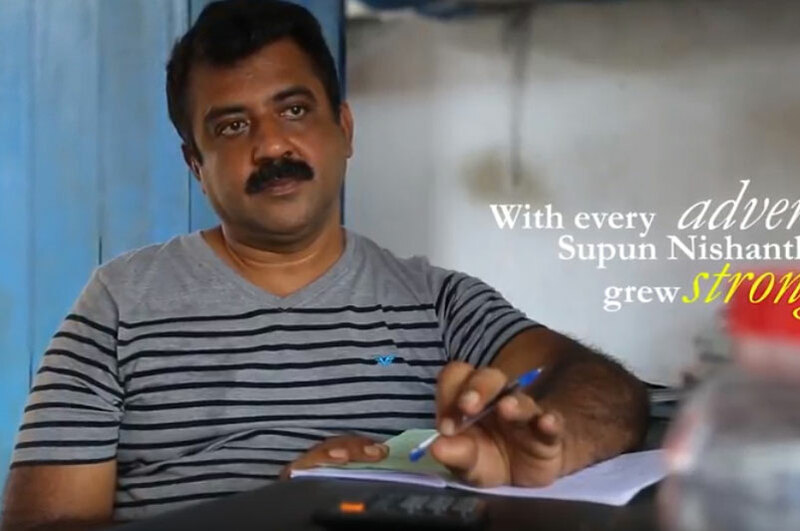 As a result, Sunil was constantly struggling to maintain a consistent source of income. His determination to expand the workshop and purchase his own machinery let the MJFCF to nominate him as an SEP (Small Entrepreneur Programme) recipient. Through the initiative, Sunil received a multi-purpose woodworking machine that helped him develop his operations and create new designs in furniture and woodworks. Today, young Sunil is a prominent furniture manufacturer in the area and has employed seven individuals and supports them in empowering their own lives. When officials from the MJF Charitable Foundation met Anura Dissanayake, he was struggling to develop a rural lathe workshop in Siyambalanduwa. His operation was based on manufacturing basic farm equipment to the agrarian community of the neighbouring locality. Although there was a constant demand for such tools, Anura did not have enough resources or the necessary support to expand his operation. The MJF Charitable Foundation (MJFCF) helped Anura realize this dream by providing him with a welding plant, drill and compressor. Through the Small Entrepreneur Programme of the MJFCF he was able to establish his business as a thriving enterprise while helping many others in his neighbourhood obtain employment opportunities. Today, eight fulltime employees and 12 individuals working on part time basis are able to benefit through a steady income. 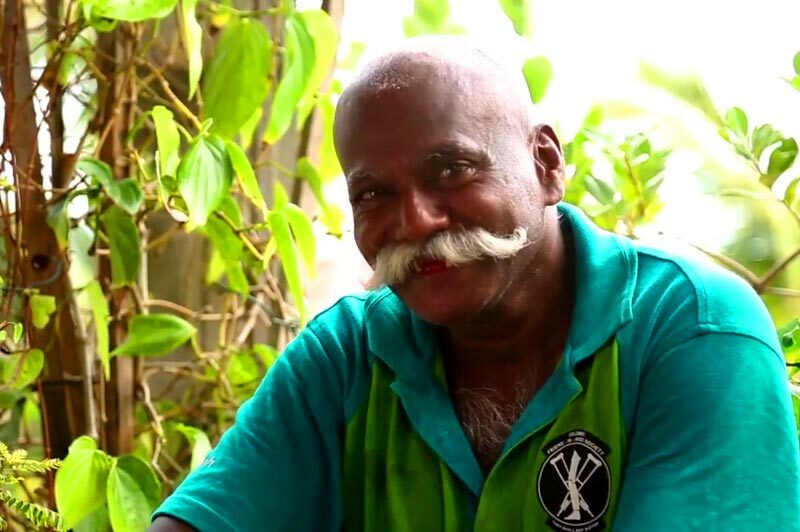 Anura too has become a successful manufacturer of farming equipment and a figurehead of his own community. 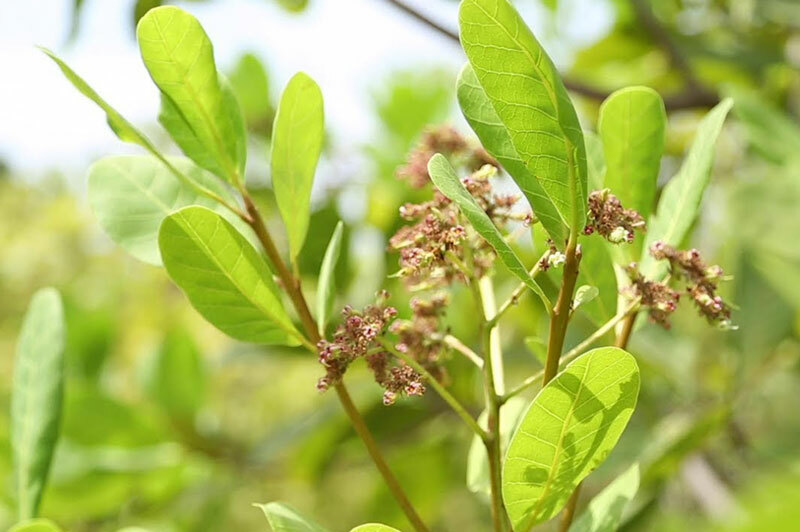 Dr. Balakrishnan Sathyaraj from Dilmah's Somerset Estate and Dr. Kuppusami Kanageswari from Dilmah's Dunsinane Estate were the children of tea pickers and plantation workers. Their determination and courage to better their lives and those around them were rewarded by the scholarship programme of the MJF Charitable Foundation (MJFCF). 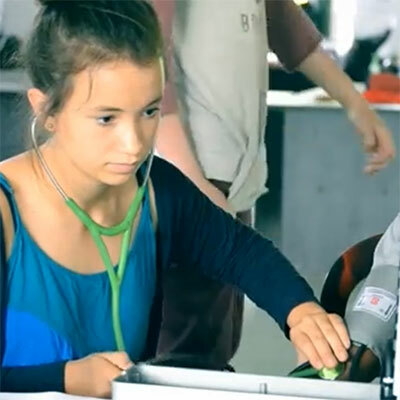 The MJFCF supported their Advanced Level and University education, and provided much needed financial assistance during their time as medical students. Today Sathyaraj and Kanageswari are qualified MBBS professionals and one of the very first doctors from the plantation community. Working With The Differently Abled To Improve Their Living Standards Through The MJF Charitable Foundation. Making A Difference In The Lives Of A Group Of Marginalised Community Members In Udawalawe Through The Mankada Pottery Centre. Dilmah Gives Kids From Marginalised Backgrounds A Second Chance At A Better Life At The MJF Centres In Moratuwa, Peliyagoda And Dematagoda. 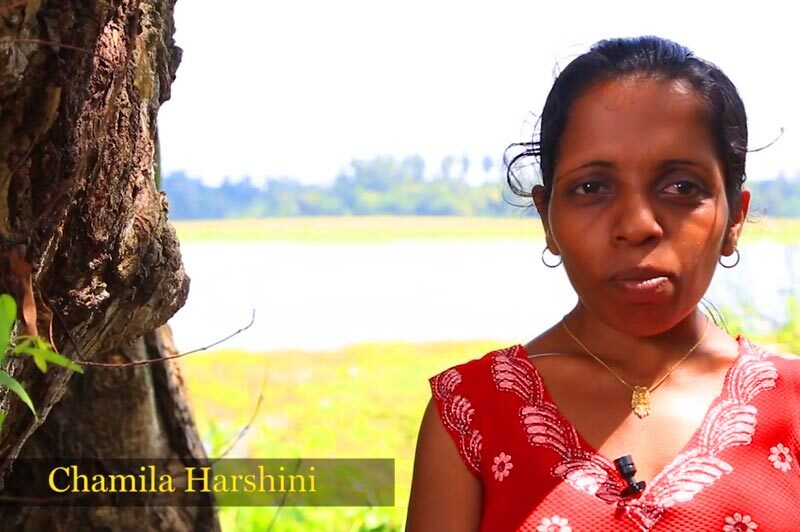 Providing Plantation Communities With Better Health Care, Housing, Sanitation Facilities, Care And Nutrition For Their Children Is Dilmah's Way Of Taking Care Of Its Workers. Thushara Madushanka From Siyambalanduwa In The Moneragala District Of Sri Lanka Is A Former Soldier Of The Sri Lanka Army. After Losing Both His Legs In A Mortar Attack, During The Conflict That Prevailed, His Dreams Of A Better Life Were Shattered. 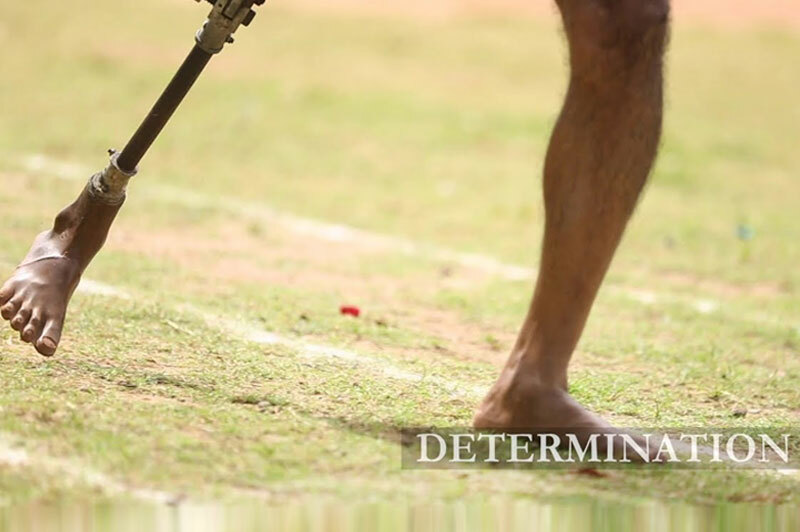 All This Changed Once The Sri Lanka Army Gave Him Prosthetic Legs And The MJF Charitable Foundation Provided Assistance To Thushara Which Enabled Him To Drive A Three Wheeler. 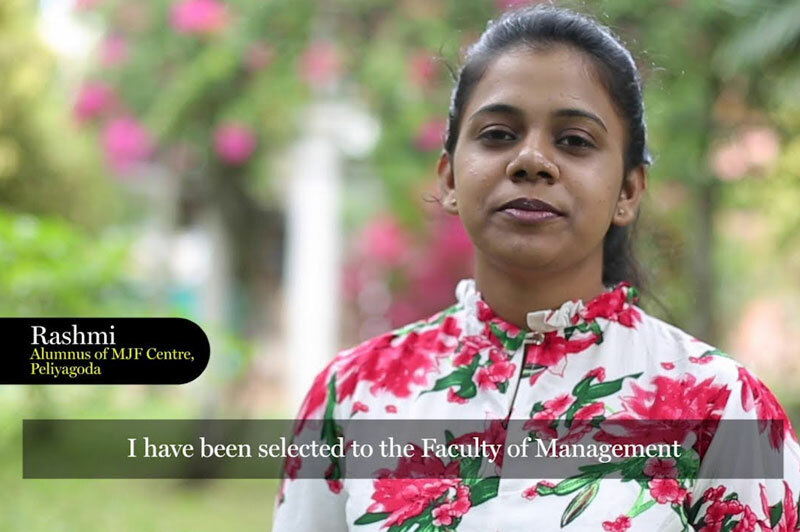 Sachitha is a student at the MJF Centre in Moratuwa who has a great love for music and a passion for cricket. The MJF Kids programme works towards nurturing children who are differently abled like Sacitha to face life with dignity. 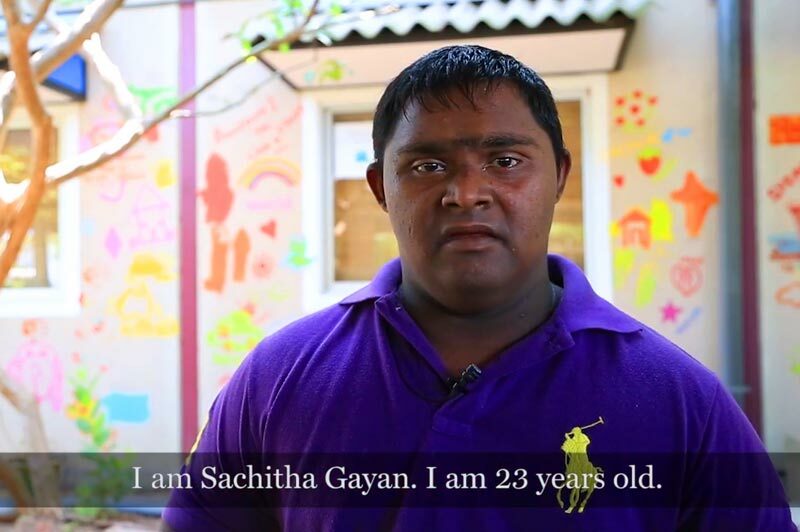 This is the story of Sachitha, a child who is different but very able. The MJF Centre in Ambalantota helps over 35 kids who are differently abled to learn skills such as sewing, arts and handicrafts, music and most importantly life skills. The center works towards nurturing in Chamila and her peers the ability to face life with dignity. Watch her story here. The Asirimath Iskole, of ‘School of Inspiration’, is a newly renovated pre-school for the children of the Koul Ara area. A gift to the present and future generations of Koul Ara by the MJF Charitable Foundation, so that they may face life with strength and dignity. For both Nipuna Fernando (aged 21) and Gayeshan Lakshitha (aged 24) doing their ‘shift’ at the MJF Centre’s Swashakthi bakery would be the highlight of the day. Brimming with excitement, they put on their neatly pressed black aprons; tell everyone around them, with a sense of pride, that they will soon be “going for their shift” at the bakery. Nipuna and Gayeshan – participants of MJFCF’s Rainbow Centre initiative, a programme that provides holistic development for children with special needs- have recently been recruited at the MJF Centre’s Swashakthi bakery which was set up with the primary objective to provide sustainable and dignified empowerment, especially for the mothers of MJF Kids, and participants of various other programmes. Nipuna and Gayeshan being put in charge of a half day shift at the bakery marks a milestone development for MJF Centre in Moratuwa as the enthusiasm with which these two kids engage in the tasks allotted to them is indicative of their desire to be integrated in to mainstream society as productive individuals. Gayeshan, despite his Cerebral Palsy condition, is extremely hardworking although his physical impairment restricts him to a certain degree. He executes the daily tasks at the bakery with much vigour. He greets those who walk into the bakery with a beautiful smile; runs to them with the ketch up bottle or the order they placed. Gayeshan is unable to get into a long conversation with the customers he serves, but shows his affectionate nature often with a smile. His colleague Nipuna who is more articulated despite being a Downs Syndrome child, says he finds the work at the bakery extremely fascinating. Explaining his daily routine Nipuna says, “I wake up around 7 am. every day and soon after I finish my morning exercises, I start getting ready because I have to come to the bakery to do the morning shift. Around 8.30, I come here. Then I go to the kitchen to make buns, patties and submarines. I also do various other activities at the classes here until my morning shift starts. My job is to serve the customers who come to the bakery. I am so happy I have a job and I earn money now. When I leave home every morning, my neighbours know that I am going for a job. It makes me happy when they ask me what I do. I must thank Dilhan Sir for giving me this job. 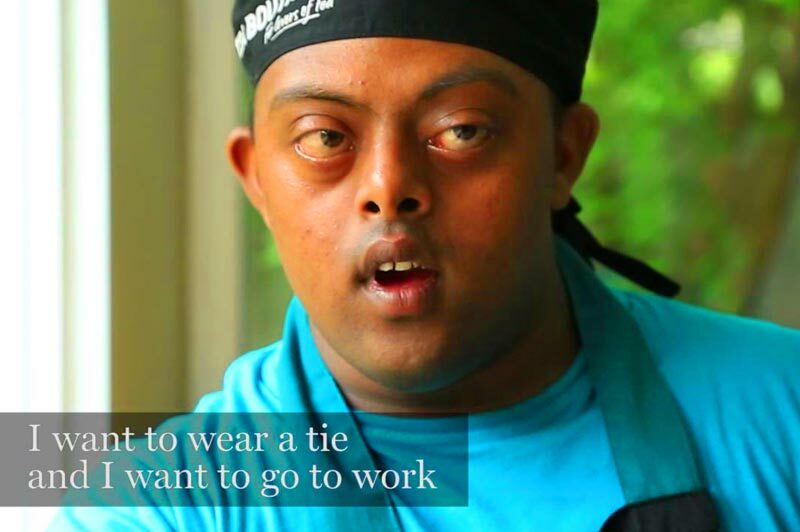 All I want is to wear a tie and go to work someday,” says Nipuna who has even promised to give his friends at the MJF Centre his first salary treat. 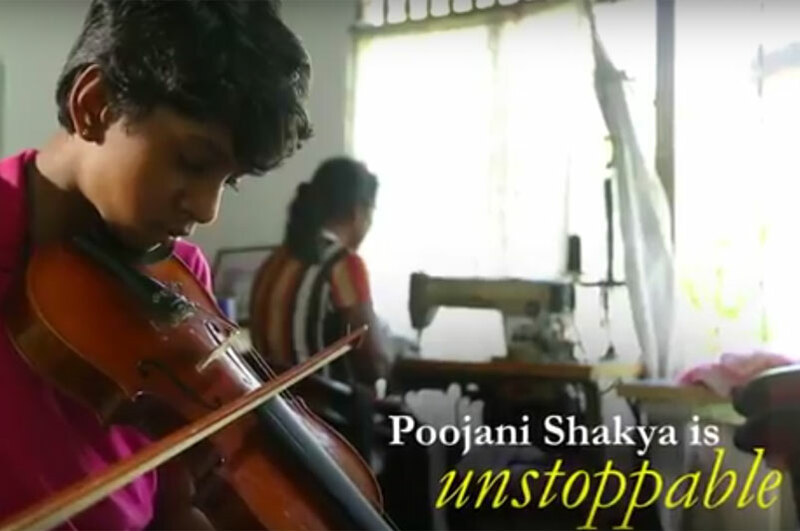 Both Gayeshan and Nipuna epitomize what differently abled can achieve when they are given the much needed opportunity and space; and that is the difference your cup of Dilmah tries to make. Listen to Indunil Aruna as he looks back on his journey with the MJF Kids Programme. Over 300 extraordinarily abled individuals; talented, brave, resilient and committed, on a common platform. Participating in track and field events with much gusto to prove their prowess and celebrate their diversity. Here are some of those inspirational moments from AIDEX 2016. 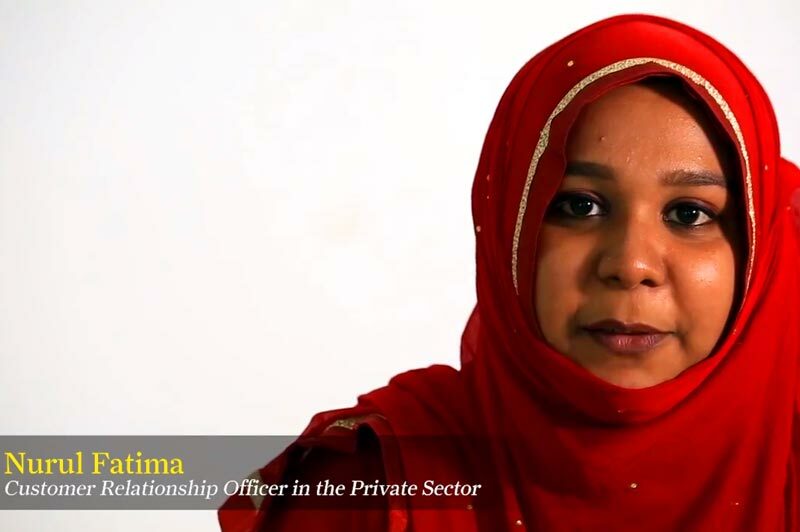 As the ‘First Decade of MJF Kids’ celebrated the inspirational journey of the MJF Kids Programme, Nurul Fatima recalls the lessons that transformed her life. Over the past decade, MJF Kids Programme has nurtured and empowered many children like Devak Prasanna by giving them educational opportunities and skills training required to progress in life. As a kid who was growing up in the care of old grandparents, the biggest problem faced by Madushan Mithun was lack of proper direction and guidance in terms of education and career. Mithun spent much of his time idling with the children in his neighbourhood without any focus on education or on his future. Joining the MJF Kids programme in 2010 was a turning point in his life as he was inspired to work with an ambition by the teachers. Today, this young man is attached to the Engineering Department at Dilmah as a machine operator upon completion of his Ordinary Level examination with the assistance provided by MJF Kids programme.